There are five “Imren” places in Berlin. I haven’t been to all of them, but among three I tested the best is Imren II, on Badstrasse in the Berlin district of Wedding, where many Turkish people live. Here you can get the best Döner I know. This is serious! Fresh lean veal gets layered on a spit (It’s called Yaprak) and on the top is a layer of real lamb fat which melts down into the meat due to the heat. They use very high quality meat which is tender and soft. It isn’t crisp but has an excellent, roasted consistency and, surprisingly, a cinnamon aroma. The first time I was there I thought this Döner was all lamb, because of this very special taste – but actually it’s only the flavor of the fat. Don’t be worried the whole meal isn’t fat. 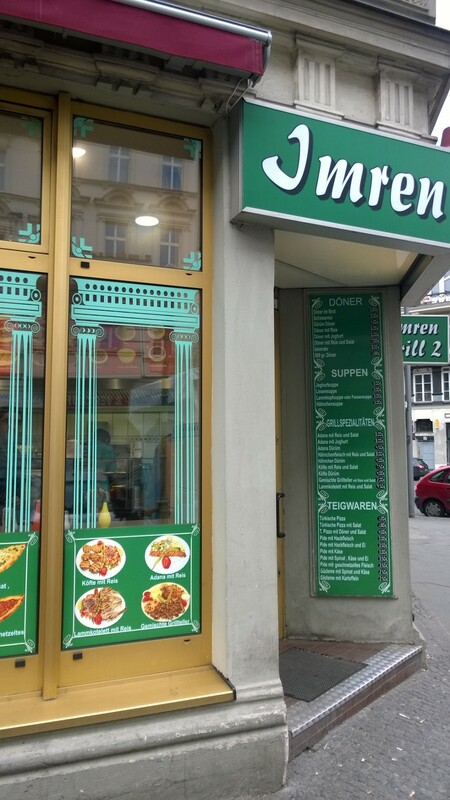 You can order Dürum Doner, “Döner im Brot” or just a plate with Döner and rice and perhaps yoghurt. All sauces are home-made as well: yoghurt, sesame and garlic! Aside from this you can also get home-made and freshly baked Turkish pizza and a variety of “pide”, some of course also vegetarian. Last but not least, Imren II serves daily lunch menus as chicken, köfte, aubergine and typical lentil soup. Another great experience is their own Ayran machine. 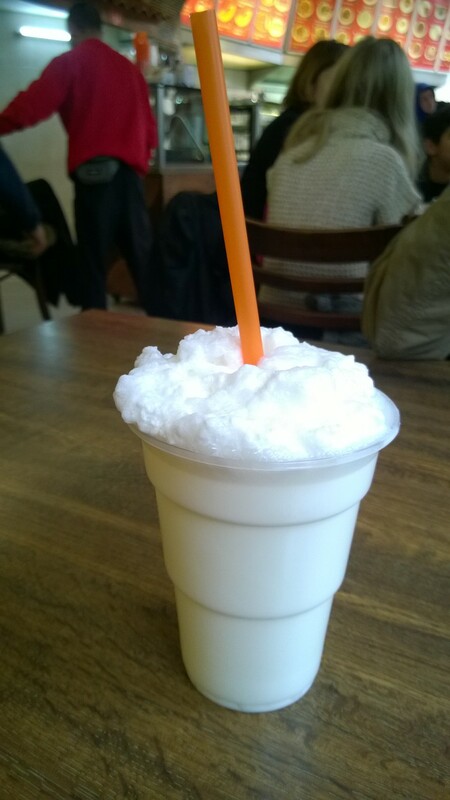 Ayran is a sour Turkish yoghurt drink which, in most cases nowadays, you get only in industrial vending cups but here you get an authentic one with real foam on the top. Don’t expect real service, this is top quality fast food and for me the best Döner place in Berlin! It is worth a visit to Imren II even you have to cross the entire city.